With effects algorithms that range from reverb to delay to pitch-shifting and beyond, the H9 is a pedal that pretty much does it all. In the past, we’ve showcased the H9 on guitar - but it’s an equally mean machine on bass. Own an H9 and want to get these sounds on your own bass? Note: The H9 Bass presets use the following H9 algorithms: Q-Wah, Band Delay, Ringmod, Phaser, Diatonic, Quadravox, Rotary, Plate, Sculpt, Ultratap, Octaver, Harpeggiator, Synthonizer, Crushstation, and EQ Compressor. All these come preloaded with H9 Max, and are available for purchase for H9 and H9 Core via the H9 Control app. 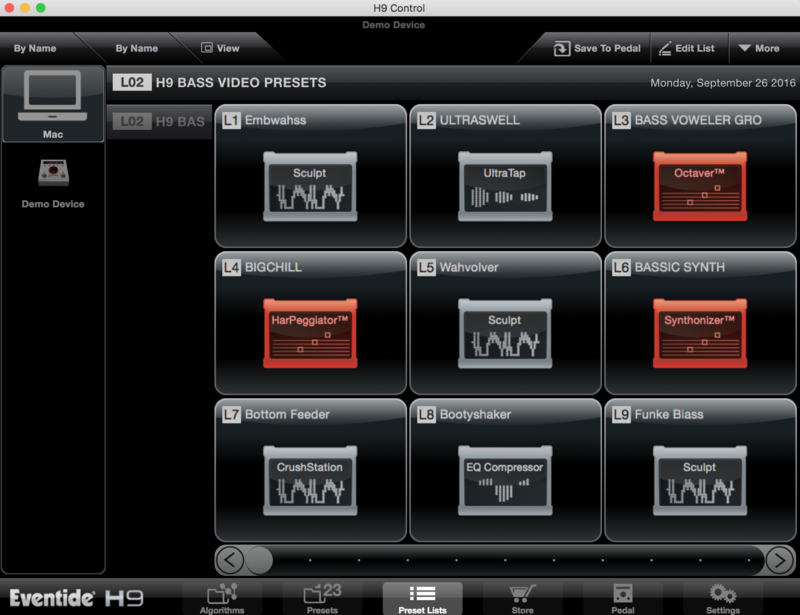 You should now see H9 Bass Video Presets when you click the Preset Lists tab. You're good to go! Download the latest version of H9 Control. Download Presets If you're on an iPhone click "Copy to H9 Control" and if you're on an iPad, click "Open with H9 Control". If you do not see this happening, it's most likely because you either do not have H9 Control installed or you may need to reboot your device. Follow the prompts in H9 Control, and you’ll find the presets under the “lists” tab.